Bydgoszcz is an ancient city that is famous for its long, stormy and rich history; its beautiful architecture, attractive landscapes, and convenient location. However, at the same time, Bydgoszcz is not just a medieval city with cobbled streets and turrets, stuck in time but is able to offer the traveler only a dive into the mossy past. In modern Poland, this city is developing at almost the fastest pace. 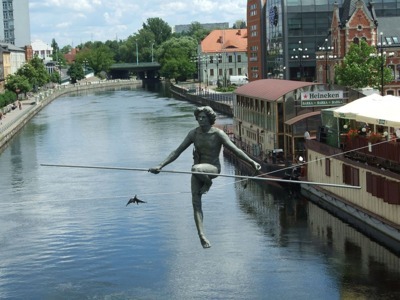 Bydgoszcz is full of both historical and modern, no less interesting sights. Just have a look a some of them like this famous hotel. Typical for the architectural appearance of Bydgoszcz in the 19th century is the famous hotel "Pod Orlom". Its beautifully finished façade is made in classical architectural style, decorated with wrought iron bars, stucco moldings, and stained glass windows. Or get a glance at another official architectural symbol of the city like the complex of three former granaries. 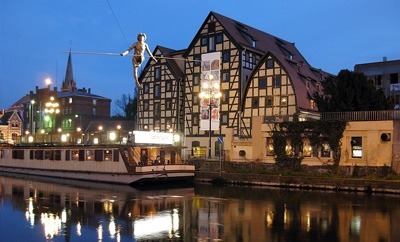 Being built in the late 19th century, these picturesque half-timbered buildings were used for a while for their intended purpose, and today the exposition is located here. 8rental is one of the most commonly used rentals in Bydgoszcz. Passenger transportation provided by this company is carried out on modern comfortable vans that are systematically undergoing technical inspection and maintenance. That is, the likelihood of any problems during the move is minimal, especially if to take into account the fact that there is always an experienced highly skilled driver behind the wheel, which can fix malfunctions on his own. We serve every customer as someone we most love. We understood that every successful company strives to ensure that its internal systems are designed and implemented to deliver flawless and seamless service to every customer under all conceivable conditions processes and procedures but also on personal effort and creativity and circumstances. Service to customers is based not just on systems but also on those who serve. Our CS staff is trained to encourage, respond and support in creative ways so that our customers will feel always happy and want to come back again to us. Our company offers minivans of several classes, which can be chosen from the company's website. These minivans are very reliable and fast, the interior is always very comfortable and clean. We expect any traveler to have a good rest and a relaxing time. In addition, we provide this service alongside a professional driver who will make your journey even more pleasant and safe. The company's drivers are excellent and very experienced workers. They have been working in this service for many years and always know how to make a trip interesting, exciting and productive. Whatever may be the purpose of the trip, an excursion or a business trip, the service drivers will do their best so that customers will manage to do their planned business deals or see all the city sights. Hire a chauffeured minibus with 8rental and add an extra feeling of complete satisfaction!